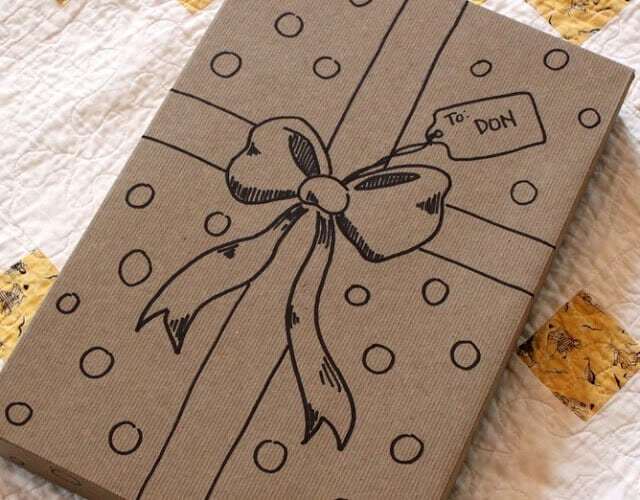 The Best Gift Wrapping Hacks that will stop them in their tracks! 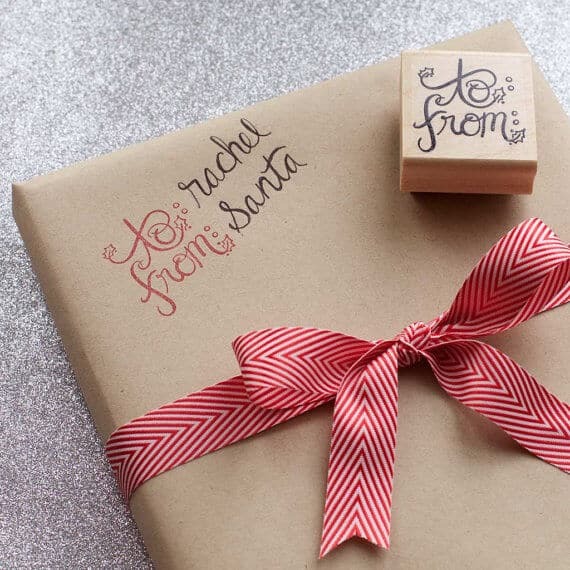 These gift wrapping hacks will save your holiday sanity! You could have picked out the best gift ever, but blown it with a sloppy gift wrap! Don’t blow it! 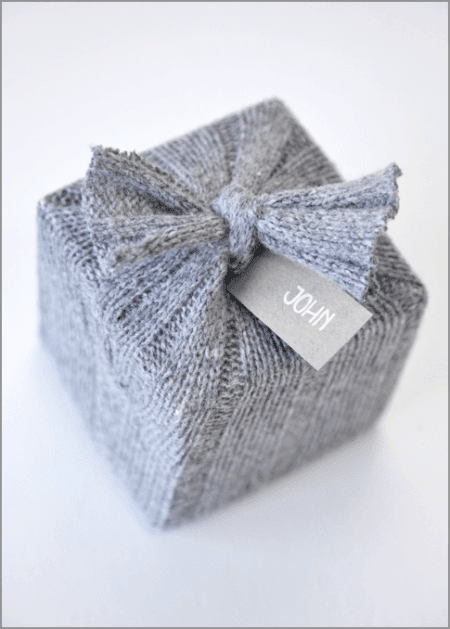 Check out these awesome gift wrapping hacks and make the presentation as great as the gift! I am usually so good about getting my gifts for the holidays ordered and purchased in a timely manner. I love the shopping part of the entire gift giving process, but sometimes I lack in the gift wrapping department. I either don’t have what I need or feel like I don’t have any cute ideas… sometimes I just am just short on time. If you are like me, no worries! 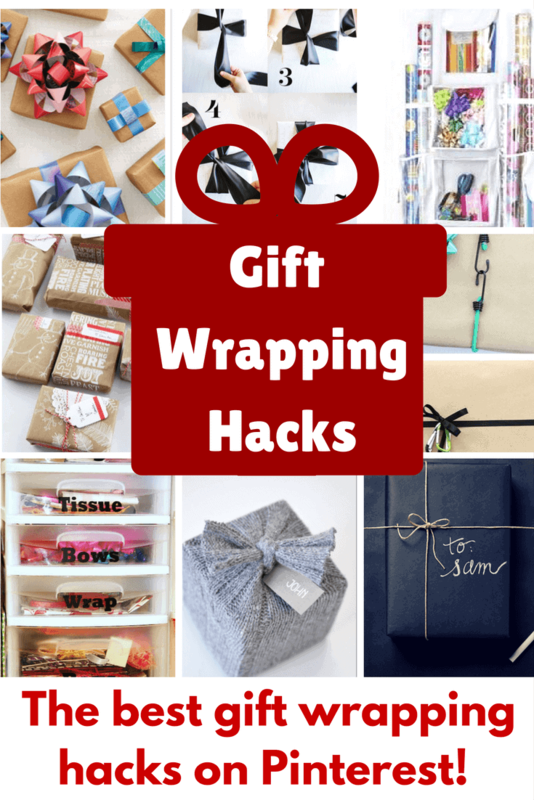 Today I am sharing some of the top holiday gift wrapping hacks that I have found. Some of them are down right genius! Learn how to tie a tiffany style bow by Handmade Mood. Very classic and elegant! I love this organization idea from A Casarella. 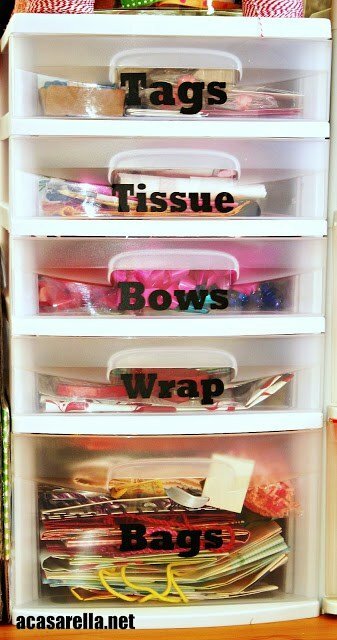 She took a set of Rubbermaid drawers (find them here) and labeled them to be the perfectly organized gift wrap station. So smart! I love a good upcycled project. 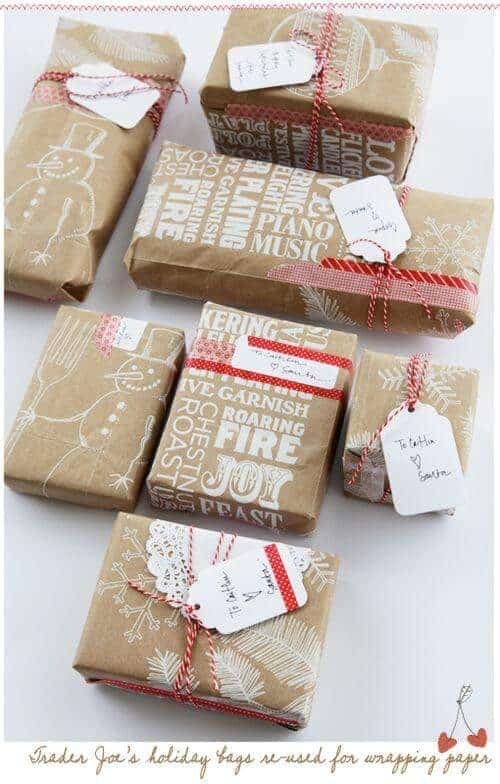 Use your tired and worn out sweaters for gift wrap. Boxwood Clippings shows us how to do it! A Creative Mint used Trader Joe’s holiday paper bags for wrapping gifts. You can’t beat free folks! 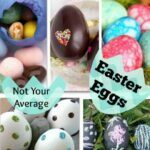 This is such a fun idea by Handmade Charlotte. 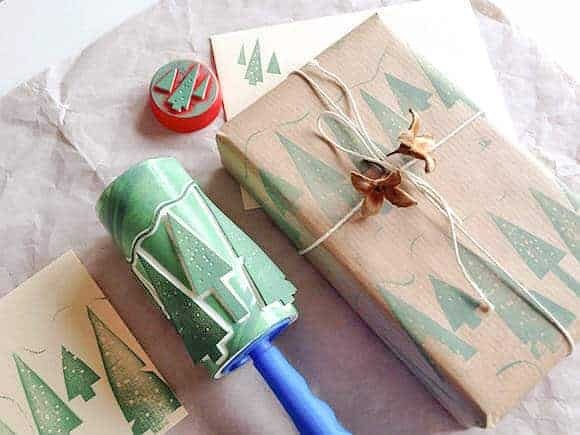 They made a stencil out of a lint roller and it made the perfect stamp for wrapping paper and cards. A lint roller… so clever! Right at Home decorated a plain brown gift box and drew on a bow and gift tag with a sharpie. 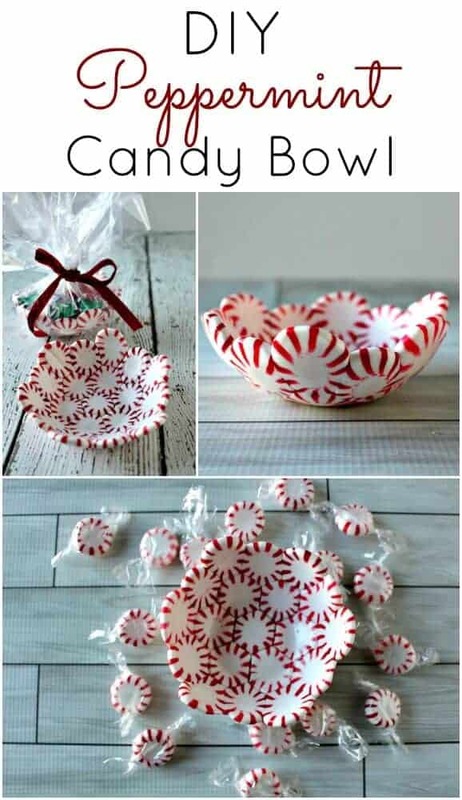 Such a great idea when you have no paper and saves lots of waste, too. Make bows out of magazine pages with 100 Layer Cake. I love how bright they are. This isn’t exactly a hack, but it really is so smart. 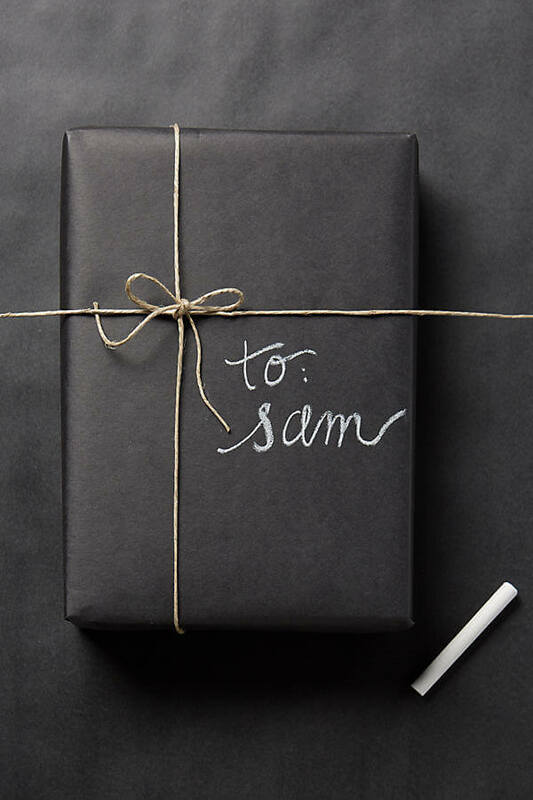 This chalkboard wrapping paper sold by ETSY can be decorated in any fashion and used for any occasion! This gift wrapping organizer is the bomb. Go check it out at AMAZON! Looking for a great way to wrap up a gift for that man in your life? 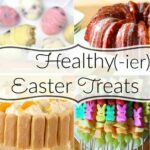 These ideas from Cutefetti are so fun! 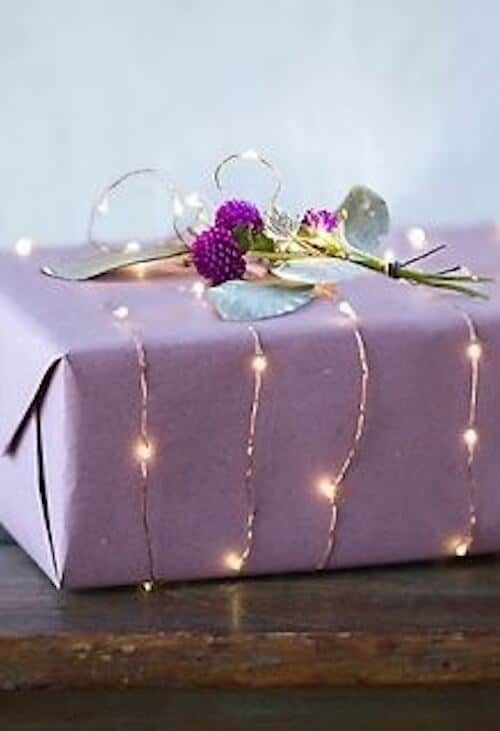 Make the gift wrapping part of the gift! 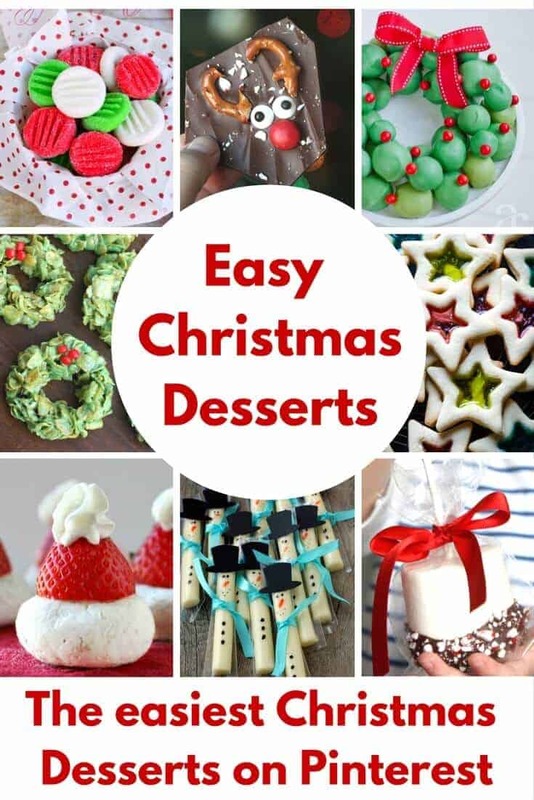 Here are more fun ideas for the holidays… Click on the pictures below! Please out Fishkind Family on Facebook, if you haven’t already. This is my name…. why would I “out” it?